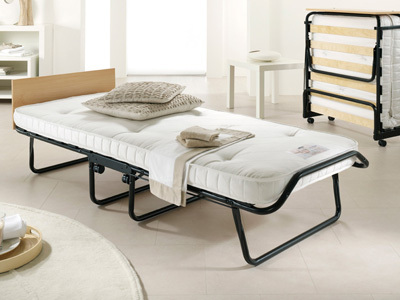 Folding beds with a selection of spring or foam mattresses. Easily fold out to create a comfortable guest sleeping area, and fold away for storage when not in use. Perfect for occasional use. Available for next day delivery. 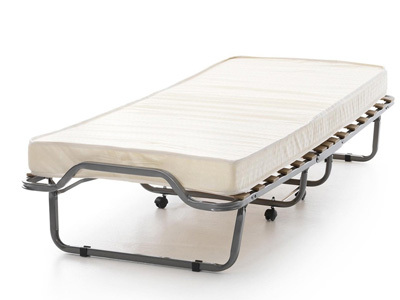 Are Folding Beds Good For Camping? 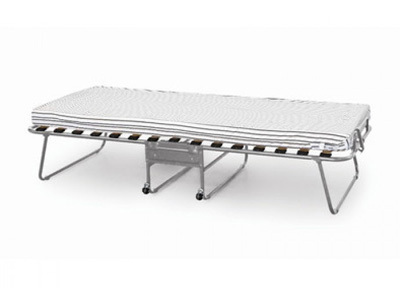 Folding beds are extremely popular for camping, as they are easy to carry and can be a lot more comfortable than a padded ground sheet. 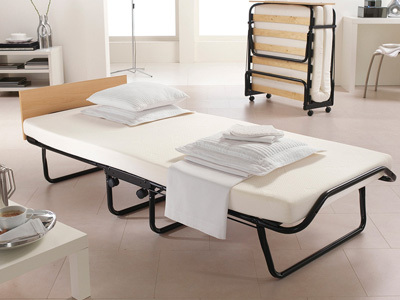 Compact and easy to assemble, folding beds are big sellers for Bedstar during the summer season. 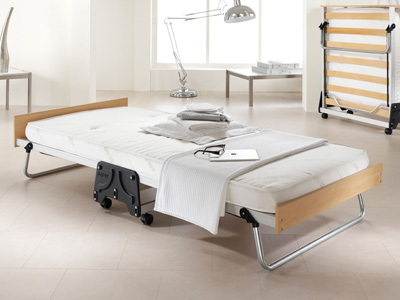 What Type Of Folding Beds Are Most Popular? 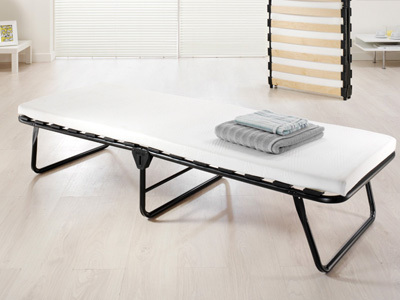 Single folding beds tend to be the most popular size, but there has been a greater demand for double folding beds in 2014/15, which has led manufacturers to produce a range of folding beds that offer twin sleeping arrangements. How Have Folding Bed Mattresses Changed? 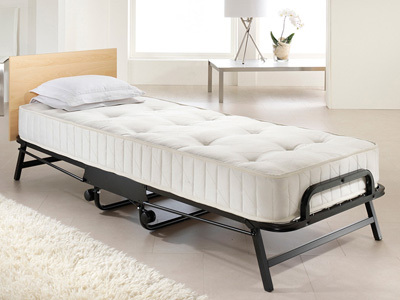 The mattress technology over recent years has also improved for folding beds, and where in the past the mattresses could be considered too thin and a bit uncomfortable, nowadays are as comfortable as a sofa bed. This is due to their fillings including pocket springs and memory foam. 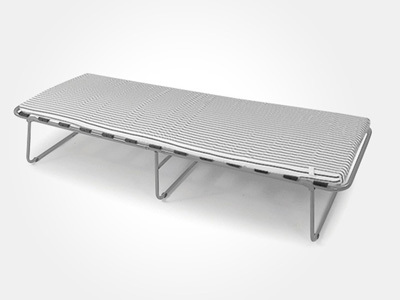 Atbedstar.co.uk we have purposely picked a range of folding beds from the UK’s most reputable suppliers that represent the best value for money, comfort, usability and many of which are available for next day delivery.